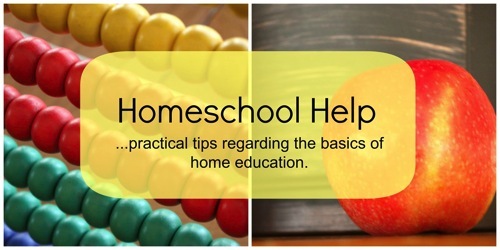 Our homeschooling has always involved a lot of driving – a side effect of having a daughter with a zillion outside interests and a son who goes to SPD therapy twice a week. Our car time has been transformed by Audible. 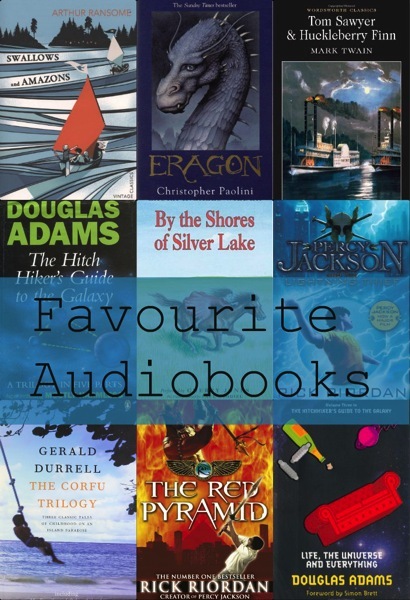 The huge range of audiobooks now available means it’s easy to find something that appeals to everyone. I buy 24 credits at a time, so each audiobook costs about £4.50 ($7). As we don’t spend money on curriculum I see this as a great investment. Many of our purchases are listened to over and over. 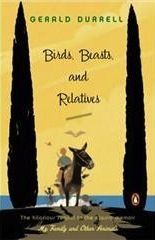 Right now we’re listening to Birds, Beasts & Relatives, a second delightful collection of stories about conservationist Gerald Durrell’s childhood on the Greek Island of Corfu. We did a mini-geography unit on Corfu when we listened to the first in the series, My Family and Other Animals. These books have a special place in my heart because the first overseas holiday my family took was to Corfu when I was eleven, just after I’d read My Family and Other Animals. C(9) and J(8) enjoy looking at Google images of the people and places from the books. One day I’ll take them to Corfu to see for themselves. * Swallowdale – second in the sailing and camping adventure series featuring the five Walker children, set in England’s Lake District in the 1930’s. I read aloud the first adventure, Swallows & Amazons, a couple of years ago. I was mighty relieved when these long books appeared on Audible! We studied diagrams of boats and learned some nautical terminology when we first read this. * The Inheritance Cycle – My kids love fantasy – much more than I do. We listened to Eragon together and then they listened to the rest on their own. We often do this, so I can keep an ear on what they’re listening to. I like that Christopher Paolini wrote Eragon while he was a homeschooled teenager. * The Percy Jackson series – Again, I listened with the children to the first in Rick Riordan’s series based on Greek mythology, and they finished the series on their own. J(8) is now working his way through the Kane Chronicles (based on the Egyptian gods) and The 39 Clues. * The Hitchhiker’s Guide to the Galaxy – I love sharing with my children the books I enjoyed as a child, and C(9) and J(8) love this cult sci-fi comedy as much as their geeky parents did. The third book in Douglas Adams’ “trilogy in four parts,” Life, the Universe and Everything, is next on our playlist. These are some of the books we’ve enjoyed listening to all together. In part 2 I’ll share those we listen to and read in smaller groups and individually. I’ll also share my thoughts on the impact of audiobooks on reading. Hammock Tracks – What Are You Reading? From what I’ve read of his reading speed, Tiger would find audiobooks even played at double speed frustratingly slow! For J(8) they’re a godsend! I just wandered over from Angelicscalliwags and I love your blog! My little man D5 has high-functioning autism, SPD and low muscle tone. I am going to sit down and have a good read through all of your Special Needs posts. Hi Claire! I hear what you’re saying 😀 How was the museum? We’re just easing back into our term-time schedule – bit of a shock to the system after months at the beach! I hope you’re all well now. I always love your recommendations. I just received the classical kids CD’s you wrote about and the kids love them. I’ll have to check out the Kane Chronicles and the Percy Jackson series. Thanks Julie. I was amazed how much history my kids were quoting at me after the Rick Riordan books. Definitely a top recommendation if your kids like fantasy in any way! It’s a pleasure, Holly! Thank you for taking the time to say hello! Funny thing, I just finished rereading the Percy Jackson series (both of them, new one is coming out in a month or so), and had before that just reread Hitchhiker’s Guide to the Galaxy, I used to read it all the time in college. Ha! Another Hitchhiker’s fan! Love it. I was amazed how much my kids loved them too. Many years of listening/reading ahead, I hope! Great booklist! I loved Hitchhiker’s. Still need to get to that Percy Jackson series though! Thank you! I know what you mean – so many books, so little time…! I see from your blog that you are doing very well with your reading, though! We ALWAYS have an audio book going; we take them out through our library and I feel like we’ve gotten to listen to so many wonderful books that we probably would not have made time to read together otherwise. There are a few on your suggested listening list that we have not yet listened to though so we’ll have to check them out.